Dr. Lussier is a graduate of the Faculty of Veterinary Medicine (1986). After three years in private practice as a generalist, he then achieved an MSc in veterinary clinical sciences. He completed in 1994, a 3-year residency program in small animal surgery at Cornell University. Dr Lussier is recognized as a specialist in veterinary surgery by the Ordre des médecins vétérinaires du Québec (1995) and the American College of Veterinary Surgeons (1997). After several years as a surgeon in 2 referral centers, he returned to academia; he was promoted to full Professor of veterinary surgery at the University of Montreal in June 2012. He has also been appointed, since 2010, as an associate researcher at the Centre Hospitalier de l’Université de Montréal (CRCHUM) and is an associate member of GREPAQ (Québec’s research group in animal pharmacology). He also completed, in 2008-2009, a clinical fellowship in plastic/reconstructive surgery at the Centre Hospitalier de l’Université de Montréal under the supervision of Dr Alain Danino MD PhD. Within the years, I have developed an interest in the development, validation and use of animal models in translational research. My expertise is in the refinement of animal models in the research setting. 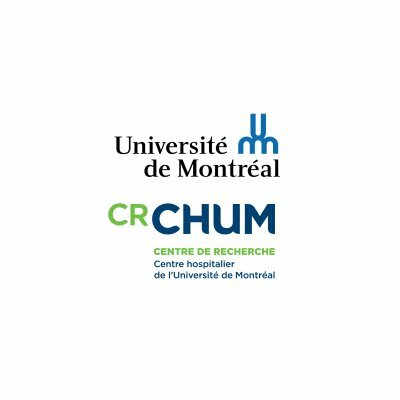 My expertise has been recognised by my colleagues at the Centre de recherché du Centre Hospitalier de l’Université de Montréal leading to my nomination as an Associate researcher. I am frequently consulted in projects where the translation of a clinical problem into its evaluation in an animal model is requested. My surgical clinical expertise in veterinary patients combined with my expertise in animal models and microsurgical skills is an asset to clinical and fundamental researchers. Furthermore, the realization of a Fellowship in the plastic/reconstructive service of the CHUM has permitted me to be fully aware of translational problematics in skin healing. The Faculty of veterinary medicine of the Université de Montréal and the Centre de recherche du Centre Hospitalier de l’Université de Montréal both have state of the art facilities fully equipped and staffed for mid- to long-term animal studies. These include surgery suites, all the necessary surgical, microsurgical and anesthesia and monitoring equipment, housing with isolated ventilated cages in accordance with the Canadian Council on Animal Care. We also have an integrated imaging facility if ever adapted imaging would be necessary. But most importantly, a competent and dedicated in vivo team.